Seoul website posted today* about a UN report on Smart City Seoul, actually a case study published last February by the ITU (International Telecommunication Union), the UN agency in charge of ICT standardization, and co-written by Jong-Sung Hwang (Assistant Mayor for IT, Seoul Metropolitan Government) and Young Han Choe (ITU Telecommunication Standardization Bureau). 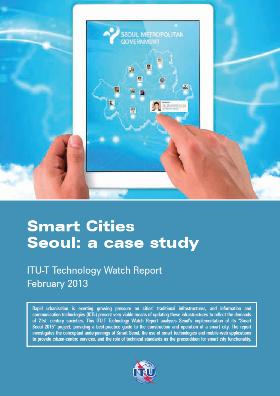 u-Seoul Net - The backbone has been extended to 192 km to enable further integration and convergence across the capital. At the other end of the network, Seoul can leverage a world class broadband coverage (4G, wifi, FTTH, even in subways), but it keeps investing in free wifi hotspots (eg in public areas and parks), and even in device donations to democratize usages. Smart Work Centers: 10 "u-Work Center" allow civil servants to work closer to home, reduce stress, and carbon footprints... without going all the way to working from home. 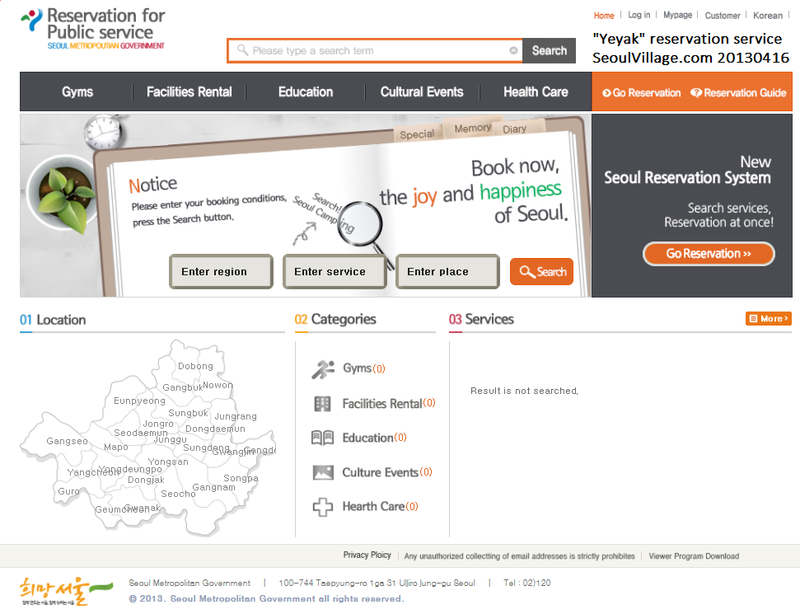 Yeyak, the one-stop, integrated reservation system for all public services: yeyak.seoul.go.kr/english/main.web. NB: databases not yet operational**. Seoulites already enjoy great services for free (eg 120 Dasan Center, Seoul Global Center, real time info on traffic and public transports...), and a new mobile app specially designed for foreigners will be launched next month. A leader in e-government, Seoul plans to disclose 100 databases to the public by the end of 2013 (150 by the end of next year). Yes, there's the security issue any CCTV-laden smart city faces, but this "Big Brother" is rather here to help. Overall, an interesting read, not too technical for an ITU paper (I remember eating a few of those back in the nineties, when I worked on 3G and beyond). Not all dimensions are covered, and I think it could have been interesting to add something about broadband penetration and usages in the capital. The number of LTE subscribers recently passed the 20 M mark in Korea, where the economy of the "last mile" is very competitive for operators compared to their European counterparts. ... reminds me I've got to finish my latest update on the "ubiquitous" but not yet "all over the place" cities of Songdo and the DMC. * "'스마트 도시 서울', UN이 특집 보고서로 다뤄"